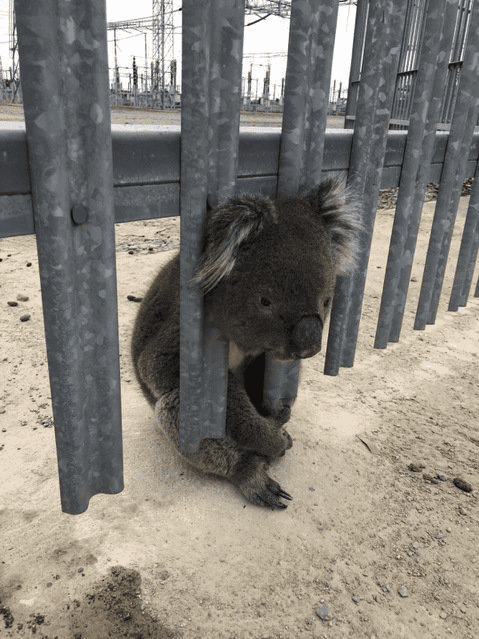 An accident-prone Koala from Southern Australia has gone viral for all the wrong reasons. 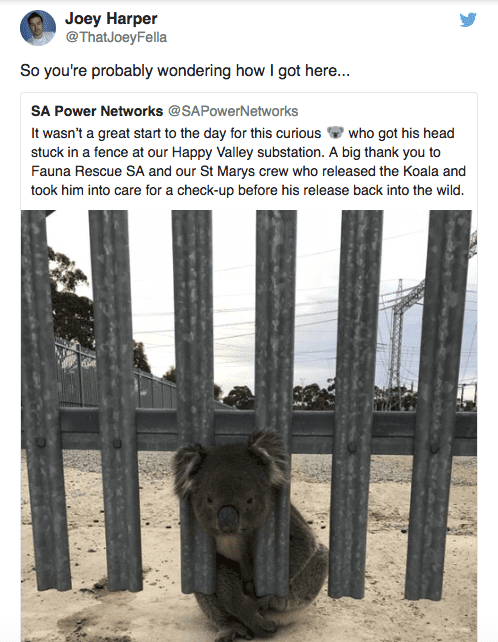 The little guy needed some serious rescuing from the Fauna Rescue of South Australia after getting his head stuck in a fence at the South Australia Power Networks’ Happy Valley substation. Some of the other volunteers recognized the koala because this wasn’t the first time he’s needed rescuing. Selwood said that the adult bear is “known” to them as “quite calm.” Perhaps he’s just used to the volunteers getting him out of trouble. Back in January 2016, the koala was found “not very responsive” after falling to the bottom of a tree. Luckily Fauna Rescue was there and nurtured the bear back to health. 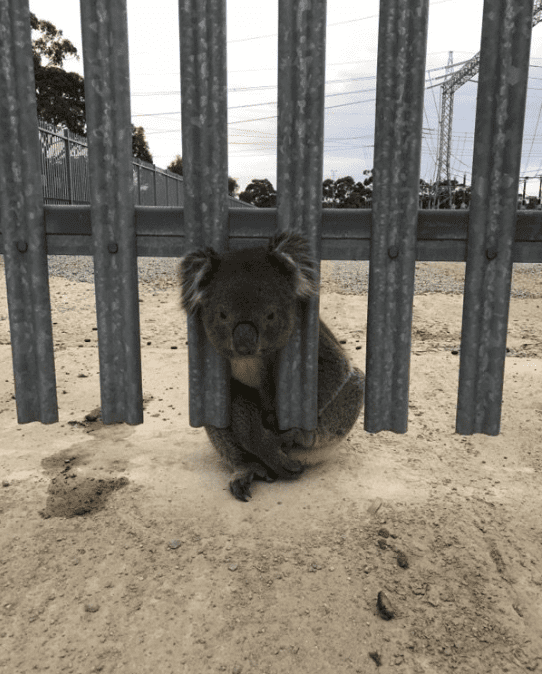 But in November of that same year, the koala was hit by a car and needed rescuing for the second time. When it was all said and done, the rescue was a success. 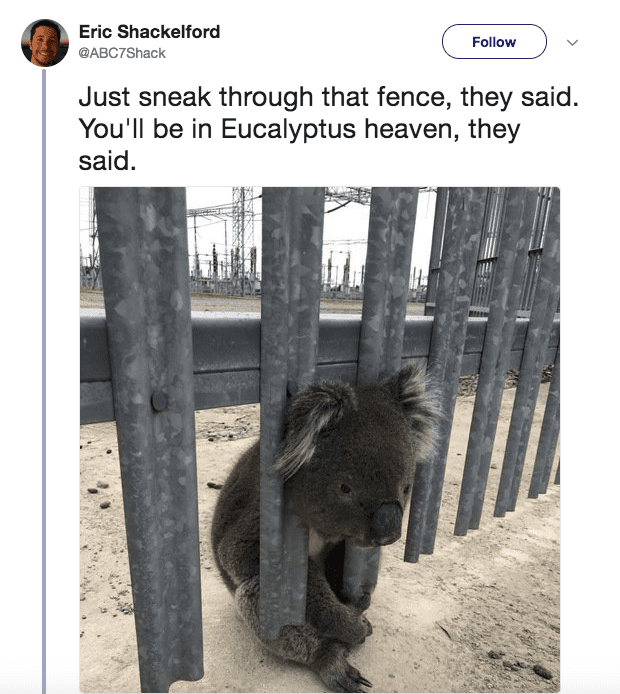 The koala has made a full recovery.